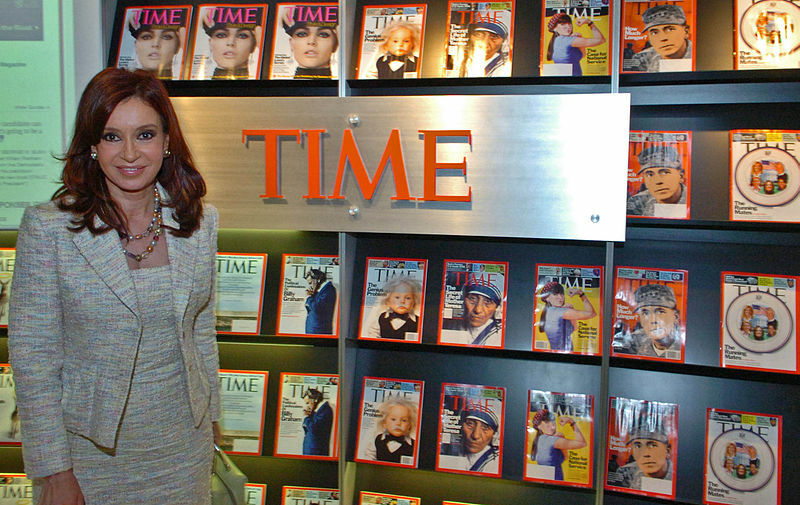 On the 30th anniversary of Argentina’s surrender to British troops on the Malvinas Islands, ending the Empire’s colonialist war against Argentina, President Cristina Fernandez de Kirchner addressed the United Nations’ Decolonization Committee — the first head of State to do so — to demand that Britain sit down and, once and for all, hold serious conversations. “We’re open to negotiations,” she said. Back in London, Prime Minister David Cameron gloated over Britain’s 1982 “liberation” of the South Atlantic islands, provocatively flying the Malvinas/Falklands flag together with the Union Jack over Downing Street, and warning Argentina to cease its “aggression” against the islands. He hailed the announcement earlier this week that the Falklands government will hold a referendum in 2013 to determine whether residents want to remain part of the UK. As for the planned referendum, Fernandez asked, “Why don’t they have a referendum in Iraq or Afghanistan,” so that people can say what they think about what the British are doing. Russia’s ambassador to the United Nations, Vitaly Churkin, offered strong support for Cristina’s stance at the UN Decolonization Committee, urging that the UK open negotiations with Argentina, and expressing concern over the British militarization of the South Atlantic. And, in another move to forcefully reject the Empire, Argentina has announced that Milton Friedman’s portrait will be removed from the entrance-way to Argentina’s Central Bank, along with the inscription of his words that the Bank’s primary mission is “to preserve the value of the currency.” Bank President Mercedes Marco del Pont said that by removing these symbols, “we are turning the page on what was one of our most perverse periods in terms of abandoning the sovereignty to define our economic policy.” Friedmanite policy ruled Argentina from 1976 to 2001. Esta imagen proviene del sitio oficial de Presidencia Argentina cuyas imagenes son libres. This entry was posted in Geopolitics, History, World News and tagged Argentine President, Colonialism, Cristina Fernandez de Kirchner, Malvinas, Milton Friedman's, UN Decolonization Committee by cnlib. Bookmark the permalink.